Air Charter Advisors specializes in arranging private jet charters to and from music festivals and concerts. The top artists perform in music tours, festivals and concerts all over the world, and our team can help arrange your private air travel to get there and back. Our company is Wyvern certified, giving us some of the top safety and due diligence standards in private aviation. We have access to thousands of aircraft in a wide range of sizes and capabilities, allowing you to fly solo on a luxurious light jet, with members of your band or entourage on a long range heavy jet, or with all your equipment and electronics aboard a VIP airliner. Are you a touring DJ/musician, or working for a studio/record label and need to arrange a private charter flight for an upcoming gig or business meeting? Air Charter Advisors specializes in VIP jet charters for musicians, rock bands, singers, DJS and music executives alike, connecting rock stars with private jets and airliners for their tours and events. Whether you’re flying to Ibiza, Miami, New York or anywhere around the world, our services extend around the globe. We can arrange luxury ground transportation to/from hotels and arenas, as well as VIP helicopter charters to skip road traffic and get you to the show on time. Enjoy options including luxurious, plush interiors, gourmet in-flight catering, on-board Wi-Fi, flight attendants and more. 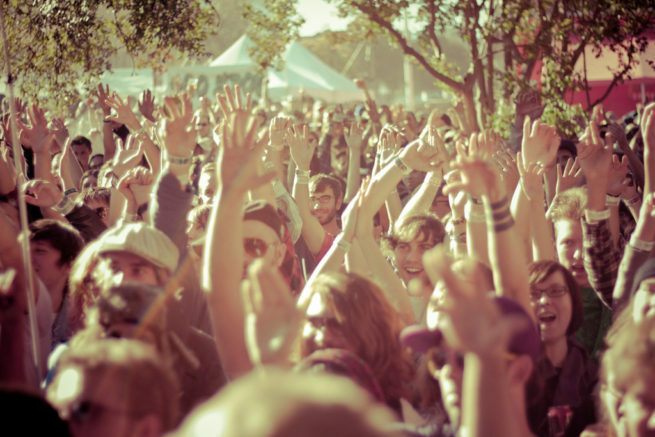 You don’t have to be a rock star to fly to your favorite music festival in a private jet. Many of our clients prefer the luxury, comfort and convenience that private aviation offers, allowing them to skip the long lines at commercial terminals by directly boarding their aircraft on the ramp. Load up your private aircraft with your camping gear for a weekend festival, or load it up with friends to catch the show together. The right jet, at the right time, requires the right air charter broker. Call us now or email us for a free quote!